VT Medical - a great new pattern of medical subjects from the development team Vtem. This template is made in bright colors, includes 4 color schemes and more than 25 module positions. 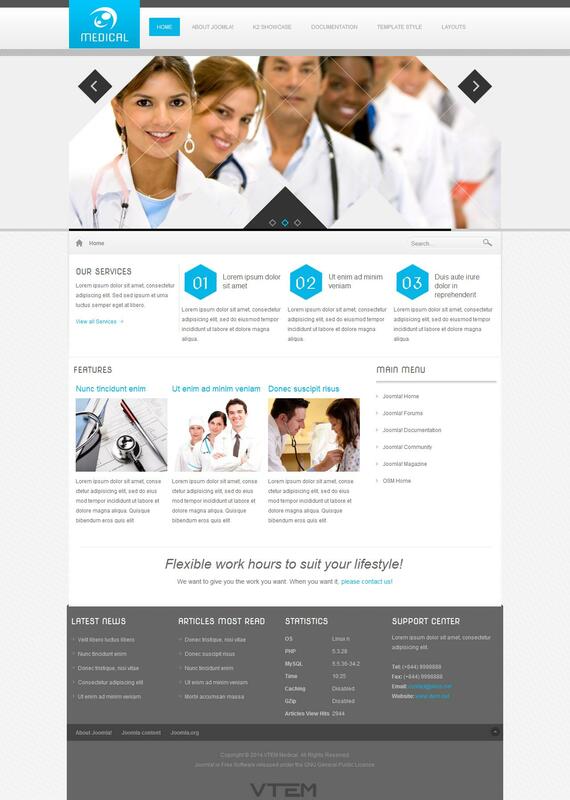 Gorgeous modern design combined with full support for K2 component functionality and layout is ideal for creating websites that provide various medical services. Fast loading pages, compatibility with mobile devices and the ability to customize the module positions are the main advantages of the template. The package also includes documentation on the installation and all the sources.